Glass Beverage Dispenser $15.00 PLUS FREE Shipping with Prime! You are here: Home / Great Deals / Amazon Deals / Glass Beverage Dispenser $15.00 PLUS FREE Shipping with Prime! This is a great deal for all your get togethers this summer! 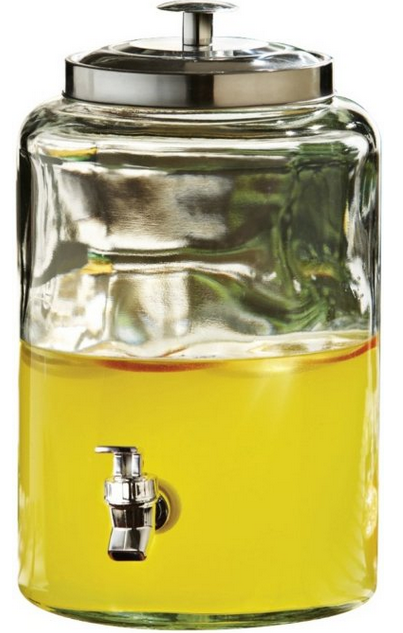 This Glass Beverage Dispenser is only $15.00 PLUS FREE Shipping with Prime! Wouldn’t this be perfect for lemonade or tea? Get yours now! To take advantage of FREE shipping on this item, sign up for a FREE 30-Day trial of Amazon Prime!